Democracy Earth’s Sovereign app brings together blockchain and liquid democracy. A new form of cryptocurrency is hoping to give people a better way to vote, and it doesn’t require any knowledge of blockchain — the digital ledger technology supporting bitcoin and other cryptocurrencies — to use. The Sovereign app brings together blockchain and liquid democracy, a form of democracy that gives people more control over their votes by allowing them to vote directly on issues themselves or pass their vote on to a delegate. The developers behind the app, Democracy Earth, believe it can solve a couple of problems associated with this type of democracy, including the ability of popular users to amass an unhealthy number of votes and the tendency for voters to become exhausted by the seemingly infinite number of issues requiring votes. As Santiago Siri, one of Democracy Earth’s co-founders, explained to New Scientist, Sovereign users will each be assigned a finite number of tokens, or “votes,” when they register. The users can then choose to vote as part of organizations on the network, which can be anything from companies to countries. Users can discuss and debate topics with each other before deciding where their vote will go. They even have the ability to use just one vote for an issue or several if they feel more strongly about it. These votes are replenished in their accounts over time. Podcast: Are we prepared for the Blockchain revolution? The first test of Sovereign allowed users to vote on an unofficial deal between Columbia and a rebel group. Each voter was given 100 votes they could allocate as they pleased across the seven main aspects of the agreement. Following the end of the voting process, the deal was rejected — just like it was during the official referendum — but Sovereign revealed there was only one aspect of the deal people were truly unable to support. This revealed the app’s ability to provide insight that isn’t available through traditional yes/no votes. 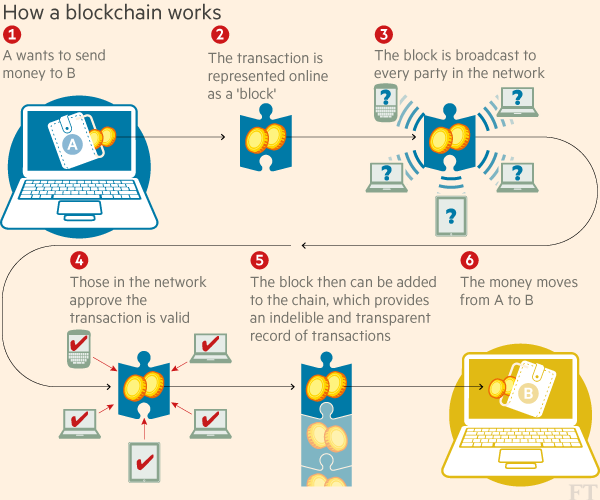 That said, transactions on the blockchain can be viewed by anyone, making it difficult to keep one’s votes a secret. However, some blockchain providers have found ways to ensure anonymity, which could help with that particular flaw. Sovereign is expected to be released to the public later this year, but Democracy Earth plans to officially unveil it later this week. A number of South American political groups have reportedly already expressed interest in the app, which Siri hopes will trigger the widespread adoption of internet-powered democracy. Disclosure: Several members of the Futurism team, including the editors of this piece, are personal investors in a number of cryptocurrency markets. Their personal investment perspectives have no impact on editorial content. This article is published in collaboration with Futurism.